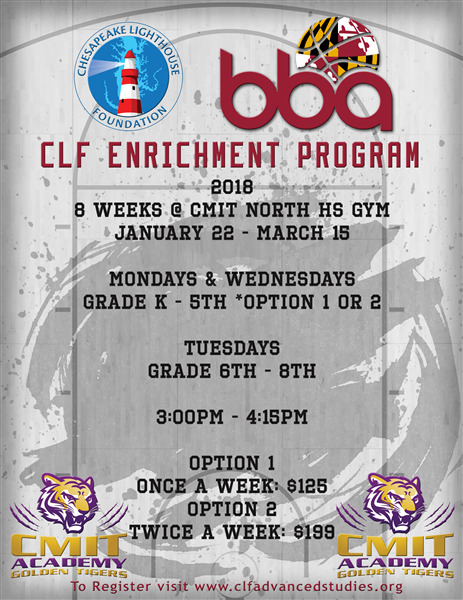 CLF Basketball Academy starts on Jan 22. REGISTER NOW! STEM Fair will be February 3, 2018! Together, your Chesapeake Lighthouse Foundation and the Belucci Basketball Academy announces a partnership to deliver joint solutions designed to improve students' basketball skills. Bellucci Basketball Academy, or BBA, is the only basketball training in Syracuse & Maryland that applies techniques used by professional athletes across the country. At BBA, we train basketball fundamentals like shooting, dribbling, and defense and then advance those concepts to include improving speed & agility, reading defenses, and reacting to the play on the court. BBA trained athletes recognize they cannot be successful on their own. BBA trained athletes take responsibility for their choices. BBA trained athletes never quit. At BBA we look forward to sharing our professional experience and secrets of the trade with the goal of developing athletes to their fullest potential. Our programs build confidence, self-esteem, and a wide-ranging skill set that transcend the court and will be beneficial throughout life. 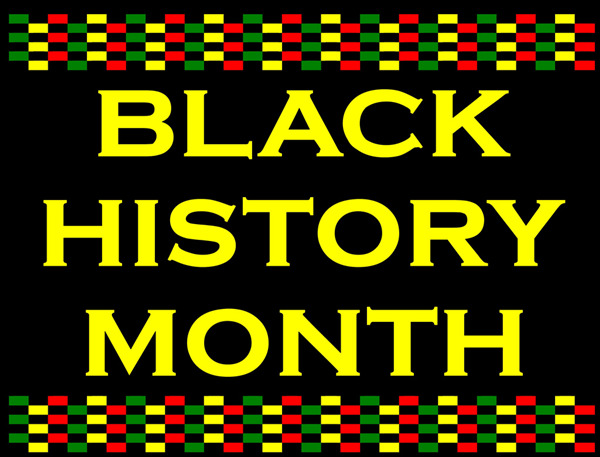 Black History Celebration is here! Once again CLF is sponsoring a POSTER competition for our students. We cannot wait to see their level of creativity as they work towards learning something new. 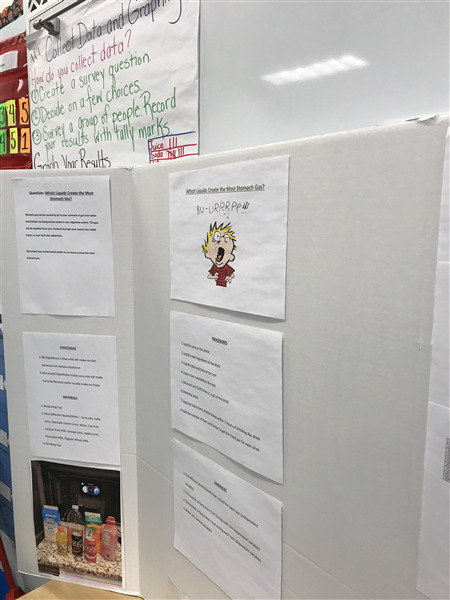 ALL students must participate as this activity as it supports the development of reading, researching, reporting and presenting. These skills are directly correlated to the Common Core Standards. Thanks for supporting your students in this worthwhile endeavor. 2018 THEME: Recognition for the role/impact of an African American in shaping the Liberal Arts Industry. DEADLINE: - February 9, 2018 to your child’s teacher. CLF will have 3 winners from each division who will receive a $50 gift card. Student winners and their parents will be invited to an awards reception hosted by CLF. One honorary mention from each school/division will be asked to read their essay or present their poster submission. Dinner will be served and community leaders, special guests, fellow students, teachers, school officials, and board members will be in attendance. • Is it Colorful? Creative? Innovative? Different? Finished? 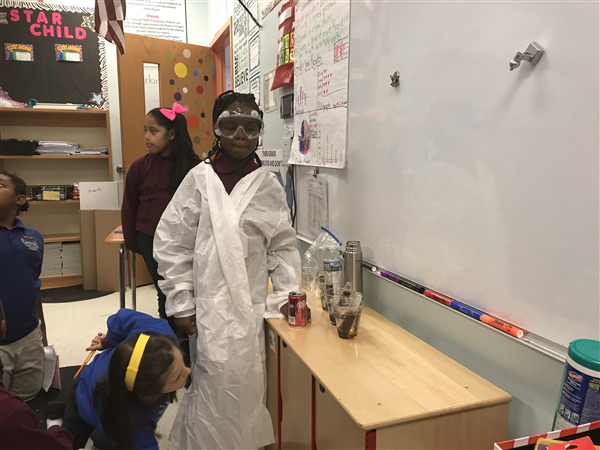 STEM fair projects were due January 3, 2018. We had some students bring in amazing projects. Judging will resume January 8, 2018. Please look for a new date coming soon. Students who make it pass the in school judging will participate in the school wide STEM fair. Lower elementary will have a gallery walk during school at a later date as well. Sorry for any inconvenience. All Upper elementary students missing research papers must submit upon returning to school (Hopefully January 8th). Thank you! PS: A staff member will pick up the students and drop off at the high school gym. It's BACK, it's BIGGER, it's a STEAMFEST to melt the winter cold!!! Come join us on Saturday, January 27, 2018 from 10AM-2PM at the brand new CMIT Academy North High School in Laurel, MD as CLF will host its 2nd Annual MakerFEST MakersFEST is a non-competitive showcase & everyone is invited to enter. That's YOU! Robotics, Science Olympiad Teams, Engineering, Art club students and all are welcome to attend and show their talents. Come out and see the creativity of our future inventors on January 27th! Last but not least, SEND PROGRESS PICTURES OF YOUR INNOVATIONS & CREATIONS to cbicer@clfmd.org for possible FULL -COLOR event displays & printing! Together, let's make this year's 2nd Annual CLF MakerFEST the BEST STEAMFEST YET! STEM fair projects were due January 3, 2018. We had some students bring in amazing projects. The top 40% of each grade will participate in the school wide invitation only STEM fair. Lower elementary will have a gallery walk the week of January 19th. 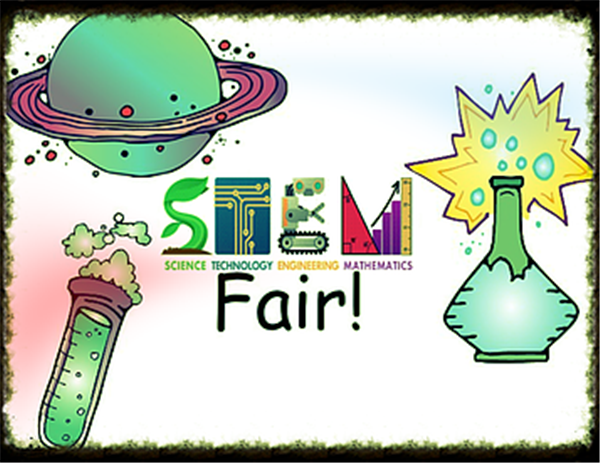 All Upper elementary students missing research papers must submit a research paper to be considered for our STEM Fair. Thank you! In Reading, we will be learning about Martin Luther King Jr. as well as Rosa Parks. We will complete many activities that teach us why these two African Americans became famous and how they help enhance society. For math, we will continue our studies on addition and subtraction word problems. Students will need to know key words in order to help them decide whether a problem is asking them to add or subtract. For social studies, we will be learning about the importance of saving our money and how to spend wisely. SPELLING: We are a week behind on our spelling list. For this week students should be studying the words with -ue endings and completing the reading, math, and health for this week. The week should say January 8-January 12. We do apologize for the confusion. Due to our snow week, we tried to give students extra time with their previous words which put us a week behind. January 31- Vocabulary Parade *** Please use the word that your child's teacher has given. Create a fun costume using this word and come dressed for the parade! 2nd grade is so proud of the STEM projects students submitted! They worked hard and did a great job. We will be holding a Gallery Walk within the classrooms for students to show off their work and learn from each other next week. Please note that the Vocabulary Parade is just around the corner. It is to take place on Wednesday, January 31st. Students may come to school dressed in their costumes for their chosen vocabulary word. Please discuss which vocabulary word your child can make a costume or hat for, and submit it to the teacher. Words from any subject are acceptable, but STEM words are preferred. 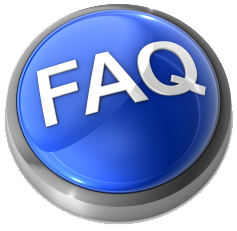 Ask your child's homeroom teacher if you have any questions. Please ensure your child knows how to spell the vocabulary word, define it, and use it in a sentence! 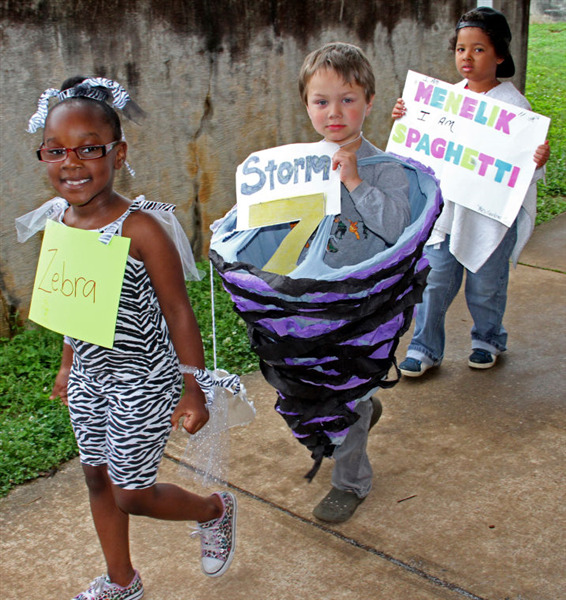 We are excited to see how this first ever Vocabulary Parade turns out! We also want to encourage you to study basic addition and subtraction facts with your child at home. You may use www.multiplication.com as a free resource (it includes addition, subtraction, multiplication, and division games and printables) as well as www.commoncoresheets.com to study math. Other resources include flashcards (home-made or store-bought), workbooks, songs, videos, making a rap, bingo, YouTube, etc. 2nd grade will be holding Math competitions within our grade level beginning in February. Our theme in February will relate to the Winter Olympics, and in March, it will be "Math Madness"! We want to get our students motivated and excited, so please support us at home. Our MAP testing is almost complete, and our students showed much growth! We are proud of them. Check out the 2nd grade data walls in the 2nd grade hallway with hot air balloons rising for MAP Reading scores (grade level norm is 184 RIT score) and rockets soaring for MAP Math scores (grade level norm is 186 RIT score). Next week, 2nd grade teachers will be conducting DRA reading testing to assess current reading levels. Please ensure your child is taking advantage of online reading resources such as www.ReadTheory.org and reading every night and recording it in their reading logs. If students read 6 hours independently of assigned schoolwork, they may add this to their SixFlags Read to Succeed reading logs (passed out earlier in the year) and submit it to their homeroom teacher to earn a FREE Six Flags ticket!!! (If you need an extra copy, please ask your child's homeroom teacher). Happy New Year from the third grade team! As we go forward please remind your scholars to complete all assignments, not doing so will adversely effect their grades. Scholars should also come to school in their required uniforms, other than their P.E. day, scholars should wear all black shoes. Also, please remember to check your scholars homework folder for graded assignments and announcements. Lastly, please remind your scholar to speak kindly to others. STEM projects will continue to be presented and judged. 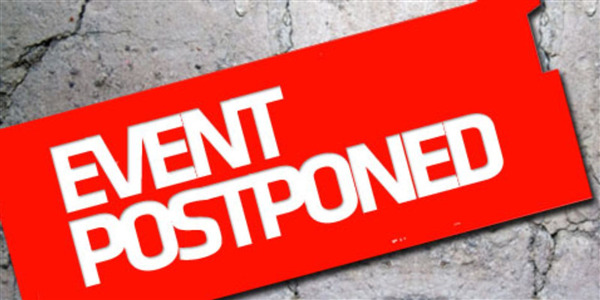 The STEM fair will be rescheduled. January 31, we are excited to have our very first Vocabulary Parade. Information will come home this week with your scholar. Students will also be assigned their Black History Research Paper this week. Third grade will be taking the Measurement of Academic Progress (MAP) Test this week. Students who missed either due of MAP testing will have a make up day this week. We have completed our winter MAP testing! Students will be given their updated scores next week to share with parents! In preparation for the PARCC test in April, we will be using the website Edulastic.com. Students will be given usernames and passwords next week. We will be using the program in class, as well as for some homework assignments in the future. Please keep an eye out for your students "Vocabulary Parade Costume Planner." The Vocabulary Parade will be on January 31. Please reach out to your teacher if you have any questions regarding this. Flyers were sent home last week. Please see the photo above as an example!